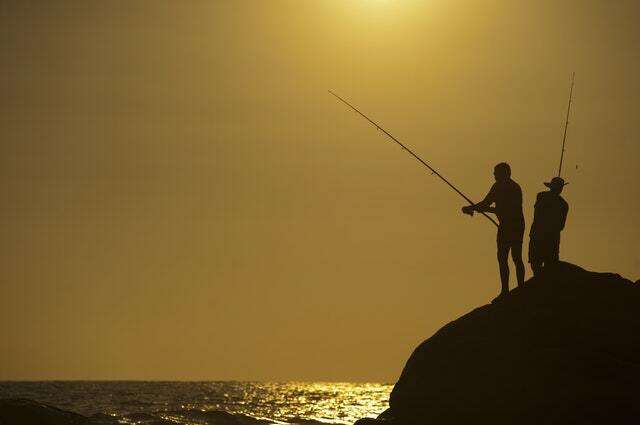 If you wish to head out and try fishing, you should first know some of the basics of the sport. Aside from knowing the different types of lures, fish and other elements, you also need to know how to set the drag on a spinning reel. It could be really nice to learn as you go, but there are consequences without first studying before taking the exam. Improper usage of your spinning reel can cause damage and you wouldn’t want that to happen as you go fishing. Learning how to set your drag is a of vital importance, and you want to know how to do it before hitting the nearest pond, river or lake. 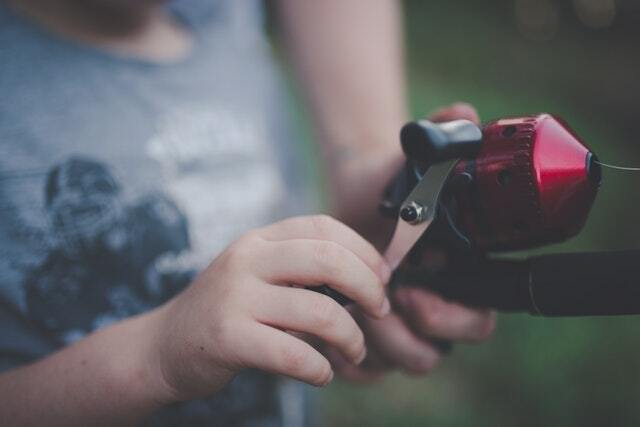 The drag of the spinning reel is a mechanism on your rod that lets you control the amount of pressure the fish can feel when it tugs on the line. Knowing how to set the drag is crucial for you to get a catch. Your drag must not be too tight or too loose. Otherwise, you might end up losing your catch. To avoid or at least lessen the odds of losing your fish, you need to get to know the drag and also know how to set it. Basically, all you have to do is set the drag so it won’t be too tight or too loose. Having your drag too tight can make your line snap if the fish is too strong for the line to handle. You may be able to just keep on reeling in the fish but the line can snap if it gives in to the pressure that the fish is putting on the line. If you set your drag too loose, you can also lose the fish as it keeps on going further and further away from you. You should first learn how to properly check and set the drag before fishing. Understanding how the drag of the spinning reel works is key for you to make a decent catch. Make sure you go fishing with the correct drag setting. After all, a successful catch is part of the fun. Setting the drag on a spinning reel is actually quite easy. You don’t need to know a lot of stuff for you to know how to set the drag on a spinning reel. You just need to have the correct feel for the right pressure for the line. And yes, this can take time and practice. What you want from your drag is to have the right resisting force, which isn’t too tight or too loose. Having a drag too tight or too loose can potentially make you lose your fish. Make sure you set your drag correctly with the proper resisting force or pressure. Go fishing with the correct drag setting. For you to conveniently set the drag on a spinning wheel, you can simply test its resistance by pulling the line that is directly above the reel. If the resistance is too strong, loosen the drag. If the drag is too loose, tighten it. To tighten your drag, simply turn the wheel of your drag to the right. To loosen your drag, turn the crank to the left. Your goal is to simply have a nice balance of tight and loose pressure. The drag should be tight enough for you to be able to get your fish without the line breaking. You may want to set your drag a more loose than too tight. You may fight with the fish a little longer but it is better than losing the fish over a line snapping. Once you’ve learned the basics of setting up the drag of the spinning reel, you can then go and try your luck at fishing. You may first want to go and choose fishing spots teeming with fish that are easy to catch for you to learn more about and master fishing with the correct drag setting. Beginners should try and fish for something simple, like bluegill. Bluegill will eat most anything offered, put up a decent fight (excellent for testing the drag), and when they feed, they are ravenous. Fishing requires immense patience and it helps to have patience when setting up your drag. Don’t set the drag too tight so you can hastily get the fish. Realize that it’s better to just fight with the fish longer than lose it over a line that broke. Once you’ve mastered setting up the drag on a spinning reel, you can then fish anywhere you want. Fishing with the correct drag setting should make you have enough pressure to reel in the fish without the line breaking and loose enough to not have the line acquire too much stress and potentially snapping. As much as you can, try not to change the setting of the drag of the spinning reel when fighting with a fish. The drag is not designed to be adjusted during a fight. This is why having the correct drag setting is crucial. You should set you drag in a way that you won’t have to adjust it again during a fight with a fish. However, if you have a big and strong fish, you could make an exemption and loosen your drag for you to not lose the catch. It’s a gamble, but one that might pay off. Fishing is without a doubt a great hobby and sport. It’s relaxing and it can be quite a pleasurable experience. There are a lot of astounding fishing spots in the world but it’s always great to first start at the nearest ones and learn and master setting up the drag on a spinning reel. With it, you can fish properly and correctly. Fishing does require patience, this is crucial in setting up and adjusting your drag. Don’t set it too tight so you can quickly make the catch. You can actually lose your catch that way with your line breaking. Also, don’t have it too loose so the fish won’t take off on you. Set it with the right pressure so you can still be able to reel in the fish and fight with it without having the line break. Once you master the basics on how to set the drag on a spinning reel and more, you can then explore the many great fishing spots of the world and begin catching new and different types of fish.